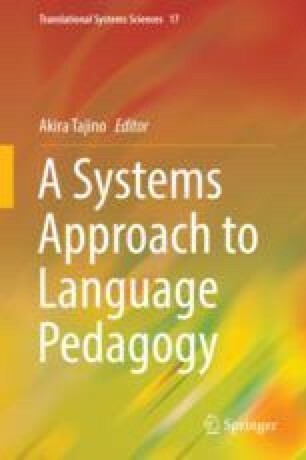 This chapter provides the rationale for applying a systems approach to language pedagogy; presents a case study in which soft systems methodology (SSM), a type of soft systems approach, was applied to language curriculum development; and attempts to manage language teaching research from a communicative perspective. In doing so, it argues that language pedagogy is a complex phenomenon in which various factors affect one another in complex ways. By referring to language teaching research that investigates the nature of the factors of language pedagogy, it also argues that due to lack of communication among the research areas in the field, each of the discrete research topics has been discussed individually within the confines of those research areas, often resulting in the so-called silo effect.